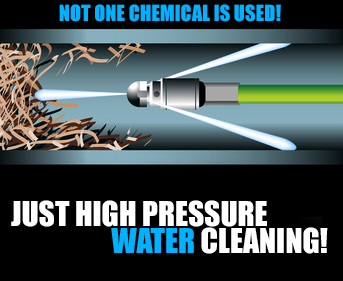 When it comes to the popular method of cleaning with high pressure streams of water, hydrojetting is not only trending but it is considered to be a top plumbing service. In fact, a plumber can literally blast water with extreme pressure from 8,000 to 50,000 PSI for pipe cleaning and other common plumbing uses. The task of hydrojetting grease or hydrojetting debris around a home or property is viewed as a proven method that is both effective and efficient. While the process of power washing is often compared to the plumbing specialty of hydrojetting, the difference is a simply hydro-jet cleaning device is great for cleaning a driveway or car; while professional hydrojetting is linked to using a range of high pressures for plumbing purposes. The use of this powerful water blaster requires professional expertise, and the use of required safety equipment to protect the worker’s face and other body areas from accidental injury caused by the delivery of this ultra-high pressure plumbing specialty. The use of hydrojetting for cleaning out storm drains and clogged pipes involves high pressure water jetting for residential and commercial customers desiring effective drain line cleaning and repair. In turn, a customer can expect this specialized plumbing service to help restore water flow and drainage. There are glowing online testimonials from happy plumbing customers who said the use of hydrojetting finally sorted out their clogged pipes and drains. There is a view from top plumbers that yearly and even quarterly hydrojetting service is highly recommended for both clearing current and ongoing pipe and drain issues around a residential or commercial property. The use of hydrojetting is a “far more effective cleaning process” for pipes and drains than the use of pipe snakes and other methods, say longtime plumbers commenting online. Thus, the view is to use hydrojetting instead of metal or other drain snakes. Overall, the use of hydrojetting and scrubbing to clean out a residential or commercial plumbing and clogged pipes is highly recommended by plumbers who now view hydrojetting as a standard process to clean out drain pipes. Stop waiting for the perfect time to take care of your home’s drains and call Dalton Plumbing, Heating & Cooling Inc. at (319) 266-3513 today for Hydrojetting services in the Cedar Falls area! Ask any of the professional plumbers who work for our plumbing company and they will be able to tell you many stories of the problems they have encountered after a homeowner has attempted to complete their own plumbing jobs. Plumbing is a specialized area of home maintenance, construction and repair that our plumbers spend years learning to complete correctly. When a homeowner has any installation, maintenance or repair to keep complete that involves the plumbing of a home they should contact our professional service as we can complete any task and provide a greater lifespan for the plumbing in a home than any DIY repair. Even the simplest plumbing job completed incorrectly by a homeowner can create major issues that can have a detrimental effect on the structure of a property or the residents of a home. Professional plumbers can spot and stop leaks that can damage the interior of walls and cause structural issues that make the property unsafe. Leaks and water damage can also encourage mold spores to grow that can create health issues, such as breathing problems for the residents of a property. Homeowners who decide to undertake a variety of plumbing work in their own home are placed at a disadvantage when compared to those seeking the assistance of a professional plumbing company. Professional plumbing companies, such as ourselves, usually provide a warranty that covers their work from problems and damage for a specified amount of time. A homeowner not working with our company will be forced to call in a professional company if the repair or installation they enacted is damaged in the future. Working with a professional plumbing company is also a good way of making sure good money is not spent after bad. Throughout our history we have been called out to enact repairs to plumbing tasks completed by homeowners looking to save a little money by doing their own plumbing work. This is usually a false economy as we are generally forced to remove the work completed by the homeowner and repeat their repair or installation in the correct way. Studies have shown that employing a professional plumber can increase the lifespan of a completed task and reduce the need for future repairs to take place in the near future. Are you looking to upgrade your Cedar Falls home? Call Dalton Plumbing, Heating & Cooling Inc. at (319) 266-3513 and get started today! When it comes to your heating your home it’s important to make sure that everything is running smoothly before the winter months hit. There’s nothing worse than having your heater breakdown during sub-zero conditions. The best way you can prevent trouble before its starts is by having a heating and cooling professional preform tune up services before it gets cold. When you hire a professional to tune-up your heating and cooling system for the winter, they should provide these 7 services. If you a have a filter in your heating and cooling system, it needs to be changed on a regular basis. Having your tune-up specialist check and change the filter will help keep the air cleaner, your furnace last longer, and run more efficiently. Proper thermostat calibration ensures that it is running properly. This will help save you money on your heating bills. The better the air flow of your system the more efficient and effective it will be. A good technician can check the air flow of your system with a pilot tube assembly and correct any air flow problems. There are a lot of moving parts in your heating and cooling unit. A professional will be able to check and make sure that all of these parts are working properly and are well-lubricated. Your heating and cooling system uses a blower to help air move from one part of your home to another. Because this part is used so frequently, it wears out more than any other part of the system. A good technician can check to make sure your blower is working properly and replace or repair it if necessary. The evaporator coil increases the warming capacity, improves air flow and helps to improve interior air quality. A good HVAC professional can find the evaporator coil inside the small crawl space where it is located and check the state of the coil. Refrigerant and heating pressure is another important part of your heating and cooling system. A good quality technician will check the pressure and make any necessary changes or repairs. When you hire the right professional to tune-up your heating system, you can rest assured that it will work properly and efficiently all season long. 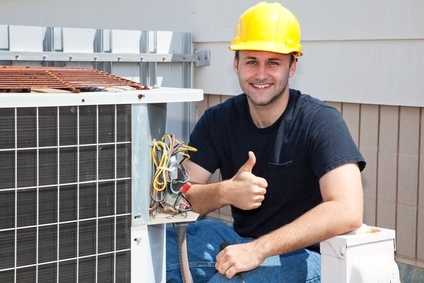 Is your HVAC unit ready for the winter? Make sure it is by calling Dalton Plumbing, Heating & Cooling Inc. at (319) 266-3513 and scheduling a service call today!